The phenomenal success of Waffle Time has opened the door for many entrepreneurs to start their own waffle cart business. Everyone else wants to learn these companies\\\' trade secrets. However, the success of the business does not lie on the recipe itself. It\\\'s a combination of marketing strategy, good location, quality product and service, and branding. This article will teach you the recipe of making waffles. It\\\'s up to you to try adding some twist to this basic waffle recipe before competing with the established brands. 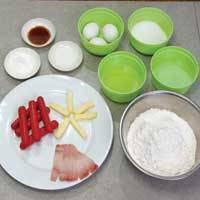 Josie de Jesus, one of the trainers at Ultima Entrepinoy Forum Center, says that they\\\'re teaching their participants to use choco and caramel fillings aside from the usual hotdog, cheese or ham. Other waffle carts use fruit jams as fillings. Depending on the brand of waffle maker, this project will require more or less P1,000. 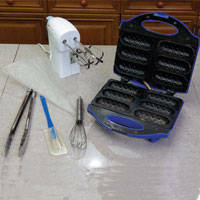 Waffle maker costs anywhere from P300 to P3,000 while the hand mixer costs anywhere from P500 to P1,500.